I'm a bit of a magpie, one that collects small objects, as those that know me will attest. It's definitely genetic on both sides of my family. However I do let them go when I can give them new life in either jewelry or mixed media artworks. 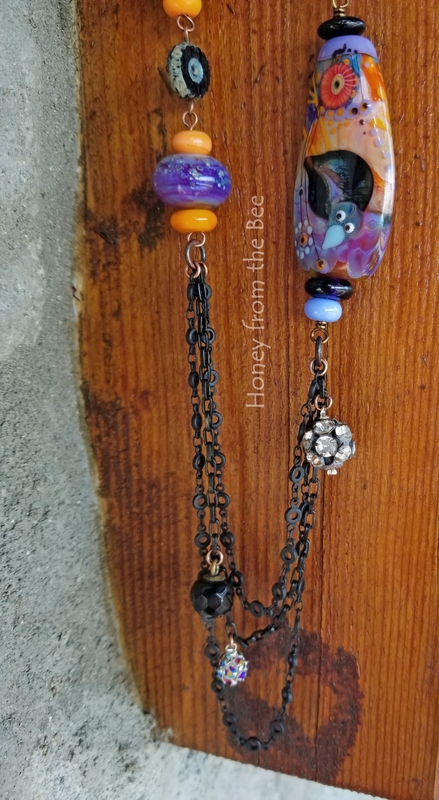 This artisan statement necklace set is pretty much a joyful celebration of that tendency in so many of us. Collecting is so much fun. Perusing our treasures is another special joy. Finding a place for them is the best feeling for me! Makes the hunt and the storage all worth it. Magpie in the garden Lampwork focal by Manuela Wutschke - a master lampwork artist that lives in Germany. I love her joyful beads in both color and subject. 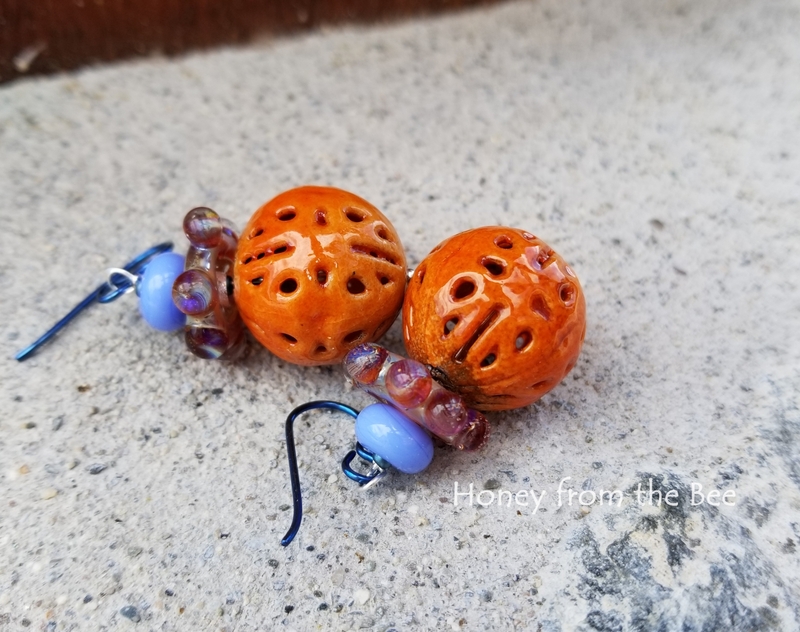 Earrings are a combination of lampwork by a couple of artists and enameled brass beads by me! 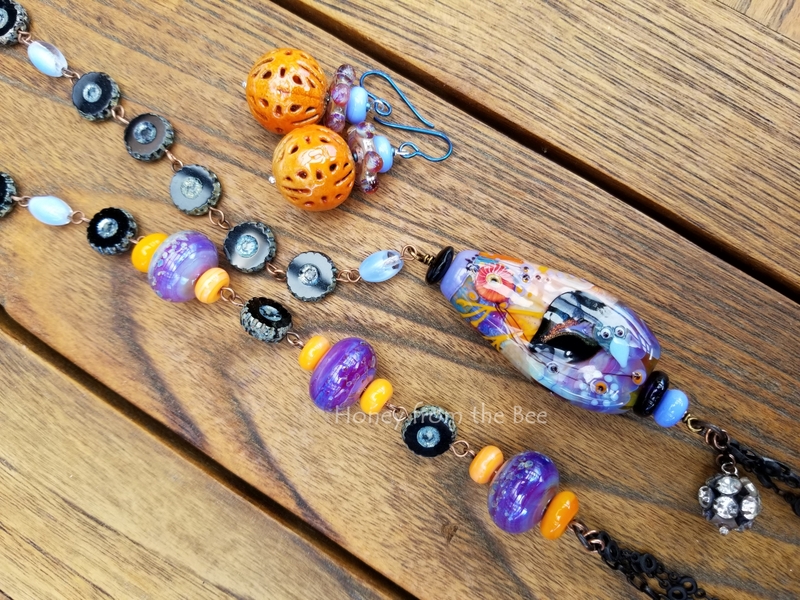 These are about 1.75 inches from the top of the earwire to the bottom of the enameled bead.